The KS-21 is the perfect antenna for small boats and RIBs. 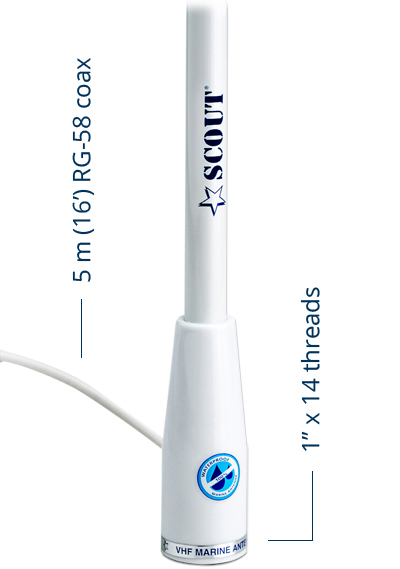 With only 100 cm length it guarantees the same performance of a 150 cm length VHF antenna. 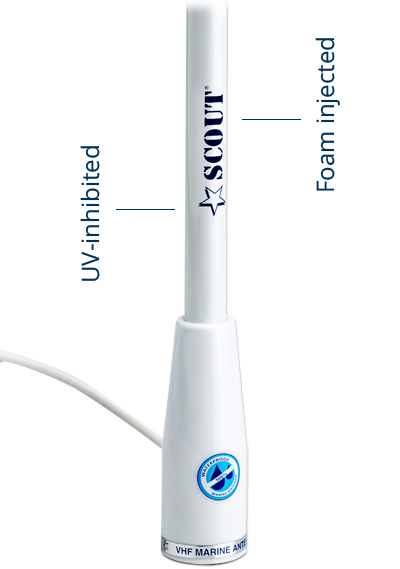 It’s built with a 1,4 mm thick fiberglass whip that gets fully foam injected with the special Scout 100% waterproof technique, and it’s ice white colored with high gloss anti-UV filter to prevent color deterioration. The 5m top performance RG-58 MIL cable completes the characteristics of the KS-21, an antenna that is perfect for its design and construction. It is supplied with 1 PL-259 connector to complete the installation on board.